Dubai, United Arab Emirates, 04 April 2019: TP-Link, a leading provider of reliable SOHO, SMB networking products, wireless LAN solutions and mobile devices, has appointed Jumbo Electronics as a distributor for their smartphones “Neffos” in the UAE. TP-Link Neffos has penetrated in more than 20 countries globally and has recorded a tremendous sales growth of 300% last year, while the UAE market quadrupled. The tax implications at the start of 2018 have borne a heavy impact on the overall market, but despite the market challenges, Neffos sales grew 400% in 2018. Neffos, created by TP-Link, a global provider of networking products, signifies the entrance into the smartphone market in 2015. Neffos is a brand that is fully committed to developing products, services and consumer relations through extensive R&D, implementing strict Quality Assurance practices and effective outreach initiatives. The brand aims to strike a perfect balance between smart technology and stylish designs. Signal quality is the most important factor affecting the user's calling and texting experience as well. 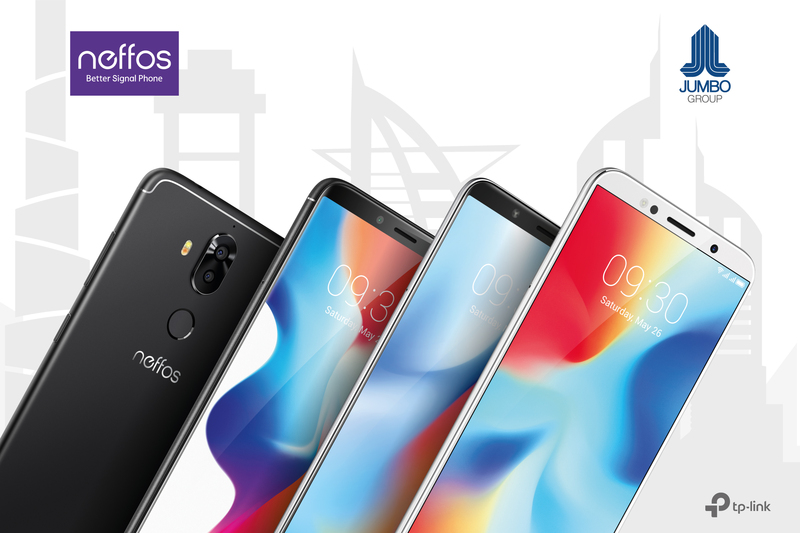 Since its introduction in 2015, Neffos has produced phones that provide exceptional signal quality and performance for the price. Now, Neffos smartphone is available over 30 countries all over the world. Established in 1974, Jumbo Electronics Co. Ltd. is UAE’s leading distributor and retailer for IT and consumer electronics. Since its inception, Jumbo has been the chief distributor of the iconic brand, Sony, in the UAE and Oman. Jumbo is also a trusted distribution and retail partner for many of the world's other leading brands including Acer, Apple, Asus, Alcatel, Blackberry, Brother, Casio, Daikin, Dell, Dyson, Gorenje, HP, HTC, Lava, Lenovo, LG, Motorola, Ricoh, Samsung, and Sennheiser.